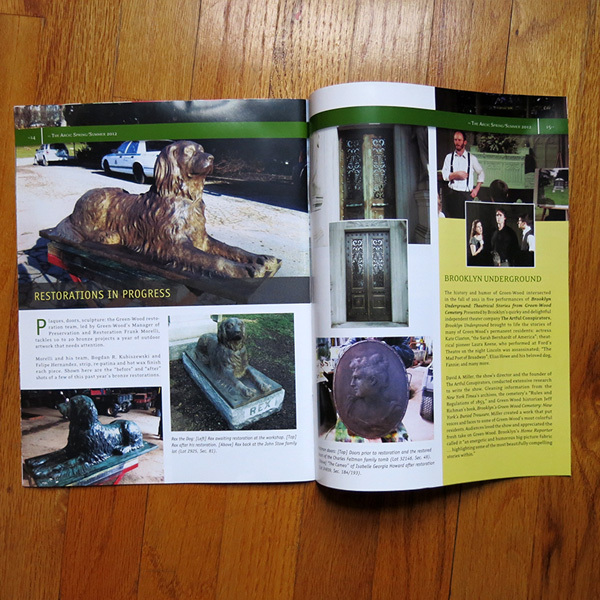 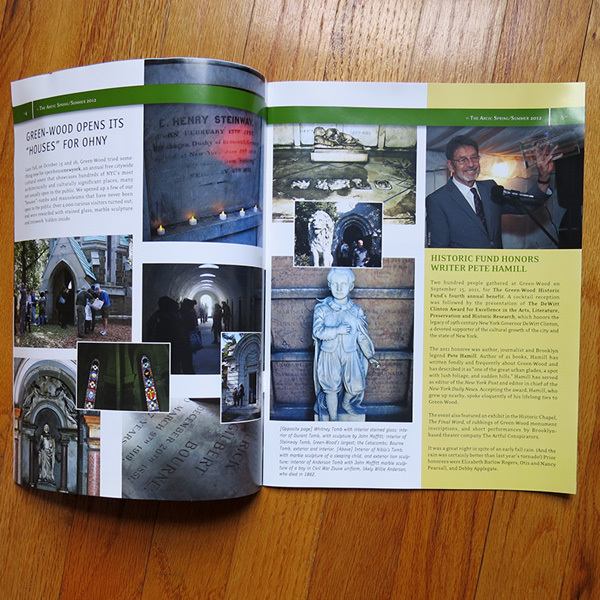 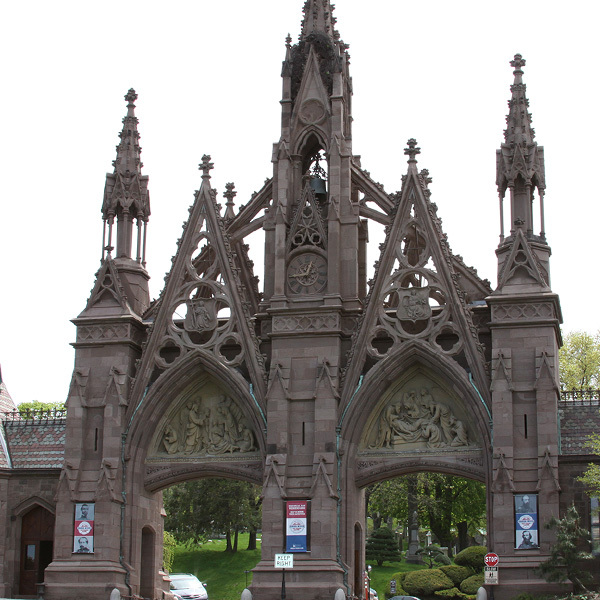 For more than seven years, through Lost In Brooklyn Studio, I have had the pleasure of working with Green-Wood Cemetery in Brooklyn, NY. 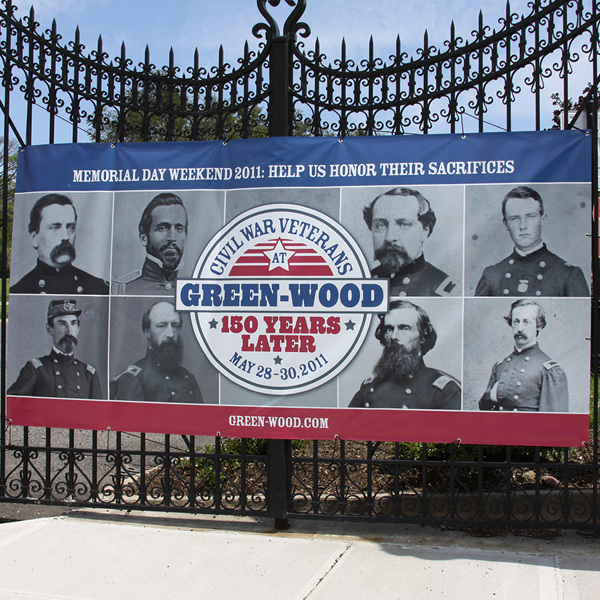 Green-Wood is a National Historic Landmark, 178 years old and has over 560,000 permanent residents, both famous and infamous. 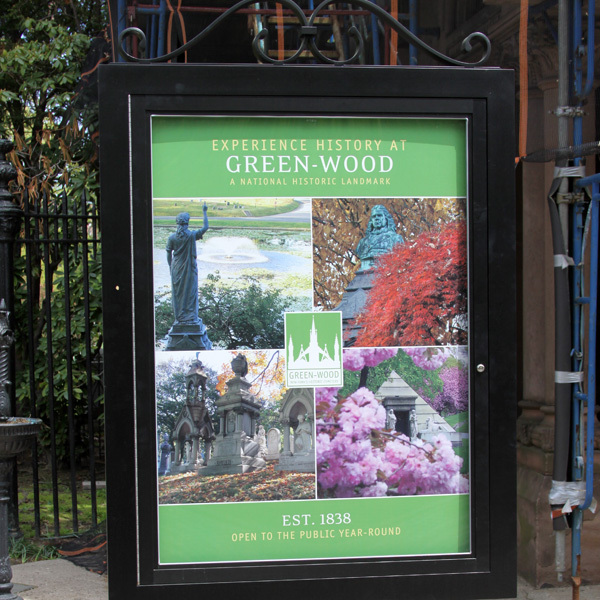 Through their Historic Fund, Green-Wood is evolving from a working cemetery to a cultural center for New Yorkers and tourists as well as for families who have loved ones interred there. 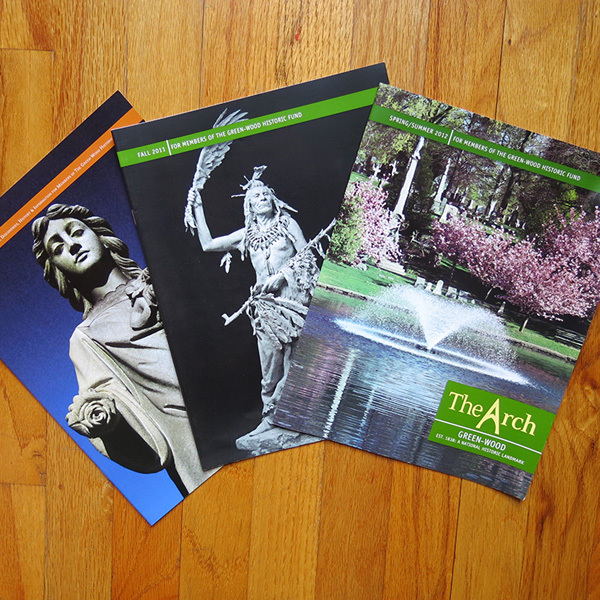 As part of this evolution, I helped evolve the brand through an update to its identity, creation of various secondary logos, templated marketing materials for their many themed tours and events and help produce their members-only The Arch magazine. 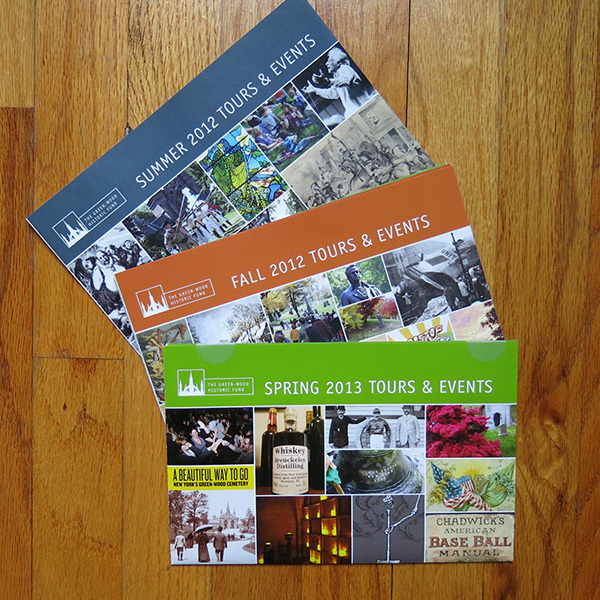 After evolving and updating their identity, I worked on the standardizing of all their printed collateral through a use of brand-related typography, color blocking and photography. 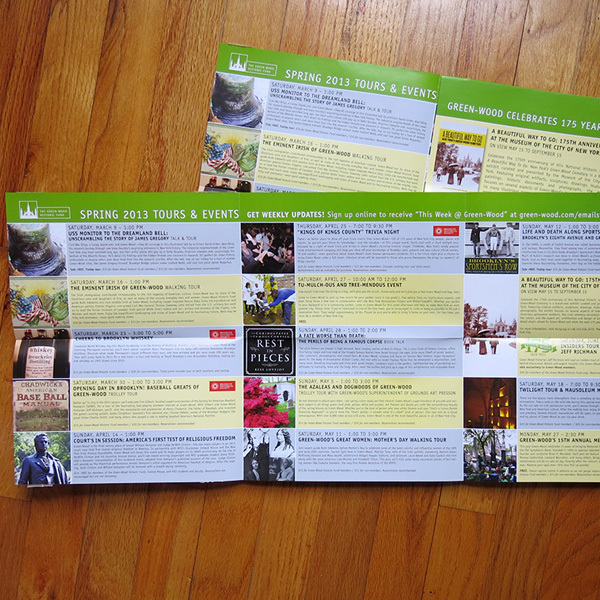 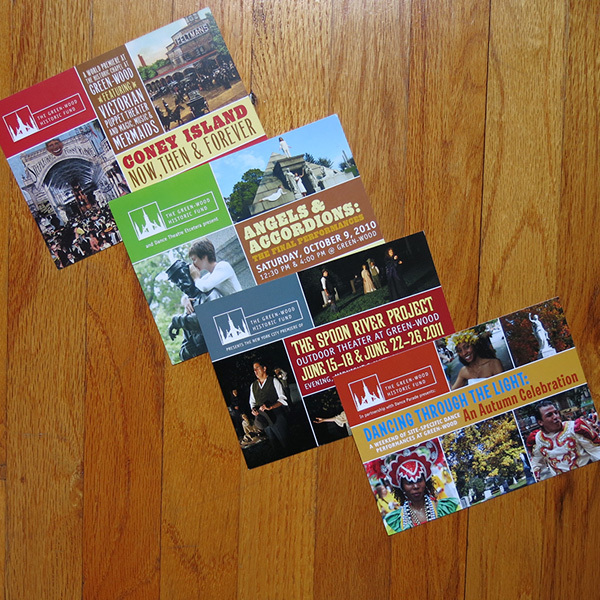 I have worked on event-specific branding as well. 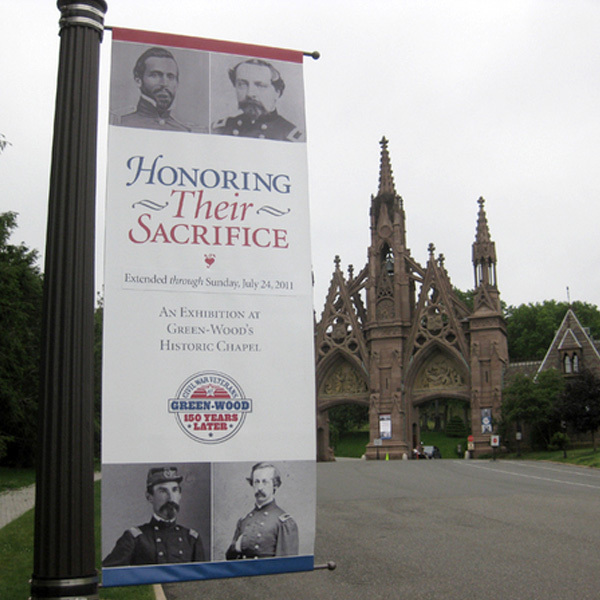 In 2011 Green-Wood was selected as the official New York State location for the opening ceremonies for the 150th anniversary of the start of the Civil War. 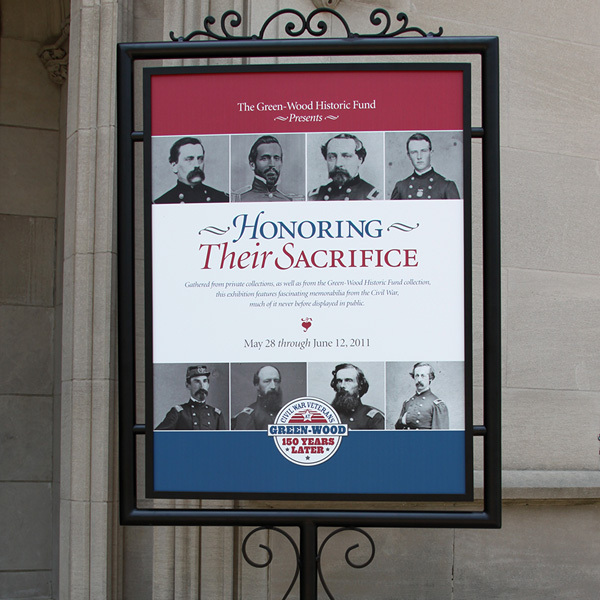 I designed event specific graphics, advertisements and banners promoting the Memorial Day weekend commemoration entitled “Civil War Veterans at Green-Wood: 150 Years Later.” As part of those ceremonies, which included re-enactments, tours and memorial events, Green-Wood curated a showing of Civil War memorabilia (from their Historic Fund collection and on loan) called “Honoring Their Sacrifice” shown in Green-Wood’s Historic Chapel. 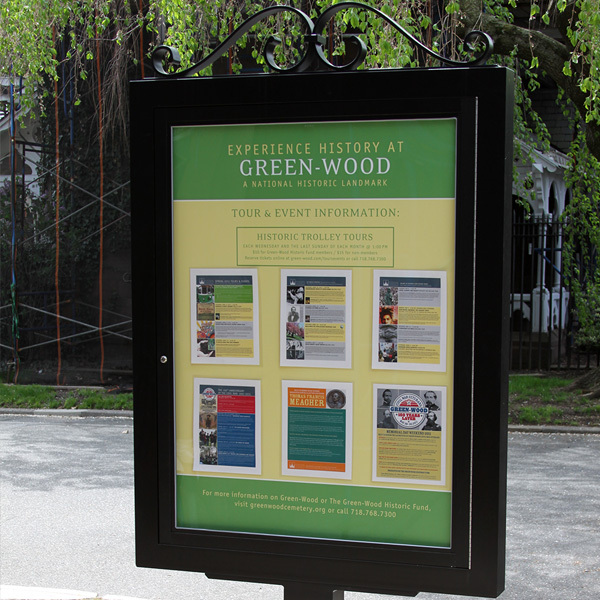 You can learn more about Green-Wood on their website or more of my take on Green-Wood on my flickr feed. 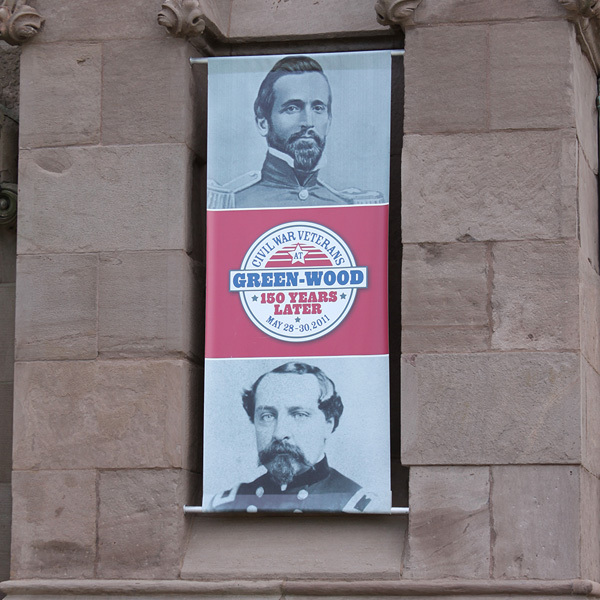 Many of the photos you see there have been purchased for royalty-free use by Green-Wood for their materials.